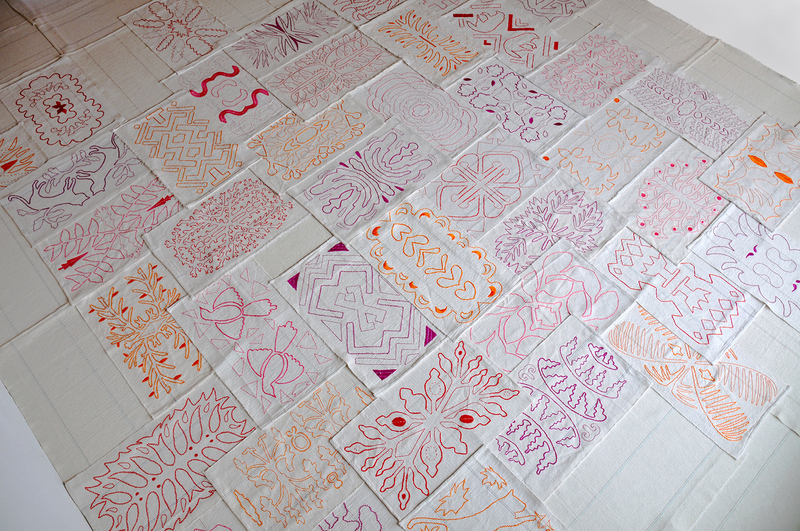 The exhibition’s centerpiece, a floor installation titeld Women of the Soil, covers the entire surface of the space. 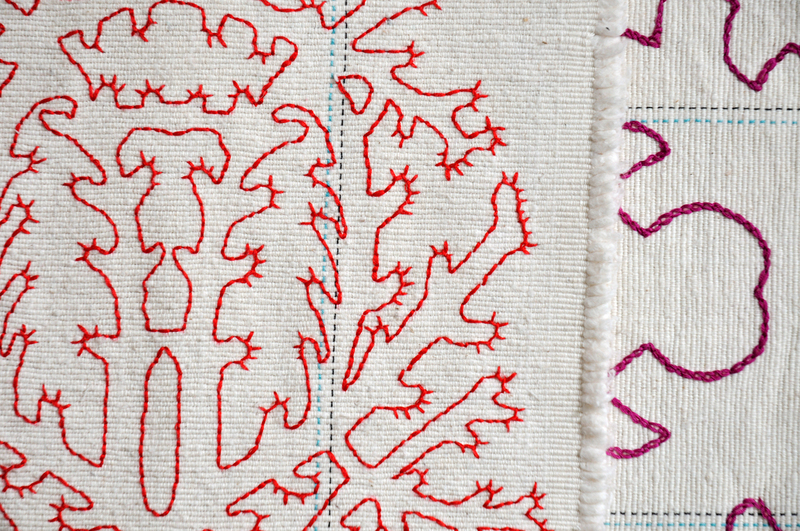 Each floor-cloth is embroidered by the artist with a unique pattern drawn from the many hikes Marëlle Videler made in the Colombian Andes. Visitor are invited to walk on the floor installation. Three objects, a machete and two sticks, are placed on the surrounding walls. 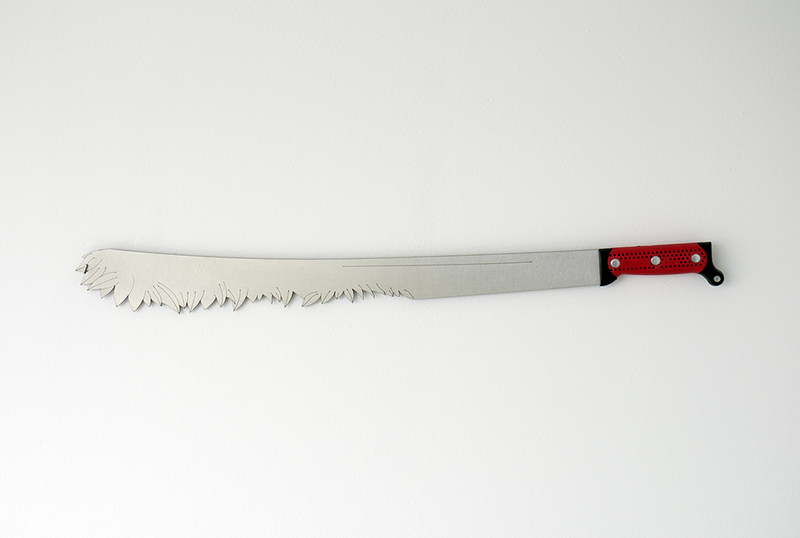 According to the dictionary, the word machete is the diminutive of the Latin word masculus (man). Mariëlle Videler bought the machete in a small boat supermarket along the Rio Orinoco on the border with Venezuela. Without a machete you cannot walk through the dense jungle. 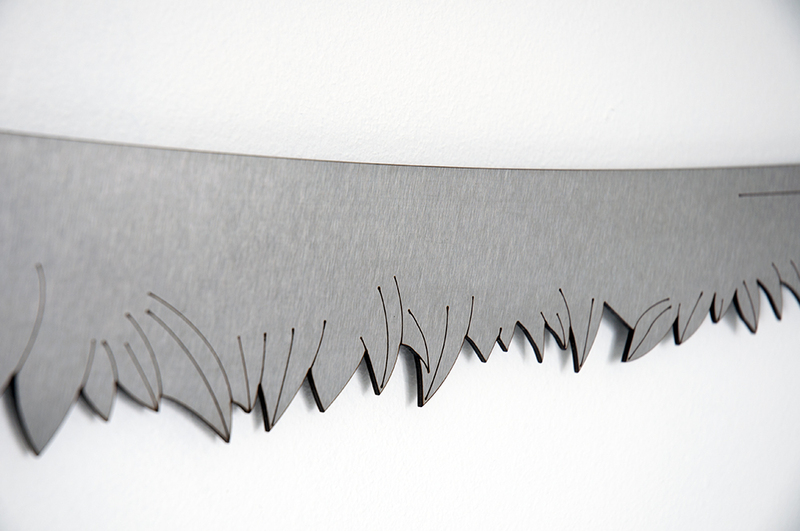 Once back in Bogotá, she drew a leaf pattern and lasered it on the machete.